•Pack an Extra (1cc) Weapons you control gains +1 durability. Draw a card. •Change of Plans (2cc) Target Player shuffles their hand back into their deck, and draws same number of cards. 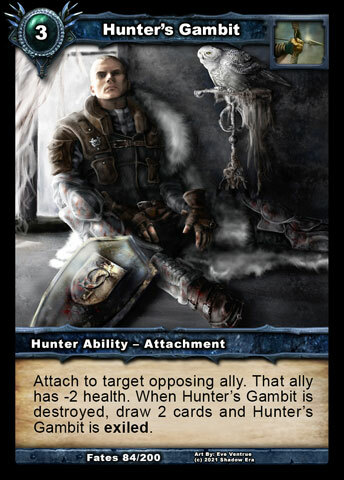 •Hunter’s Gambit (2cc) Attach to target opposing ally. That ally has -1 health. When Raven’s Gambit is destroyed, draw 2 cards. •Surprise Attack (3cc) Ongoing: Target ally gains Ambush. Whenever that ally deals damage, draw a card. 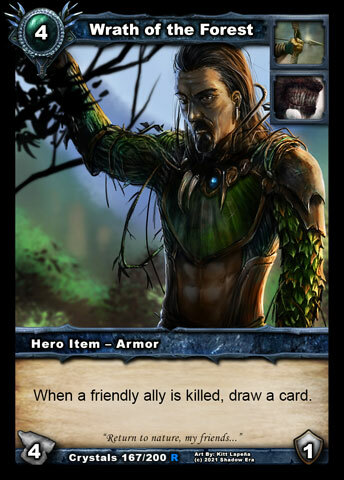 •Survivalist (4cc) When a trap you control is destroyed while Survivalist is attached to your hero, you draw a card. 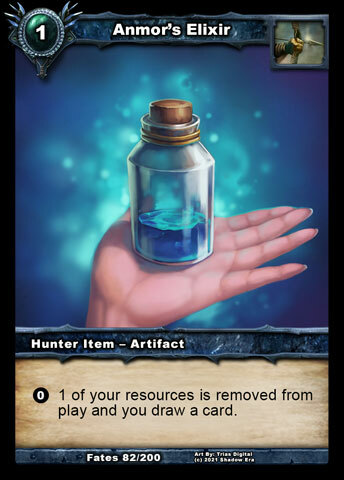 •Anmor’s Horn (2cc) 0: 1 of your resources is removed from play and you draw a card. •Grundler’s Double (6cc – 2/5) Grundler’s Double ignores stealth when attacking. 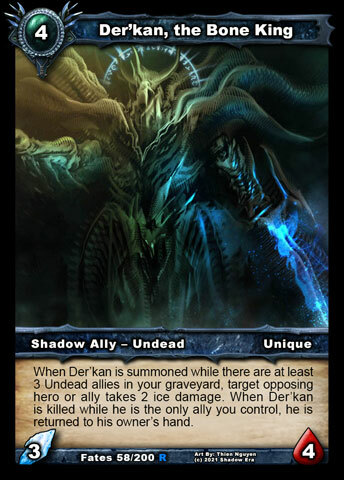 If there is exactly 1 friendly ally in play when you end your turn, draw a card. •Gravedigger’s Cloak (4cc – 3/1) 2SE: Place a random card from the opponent’s graveyard into your hand. •Cobraskin Wraps (4cc – 3/1) When Cobraskin Wraps enters play, each player loses 1 resource and you draw a card. 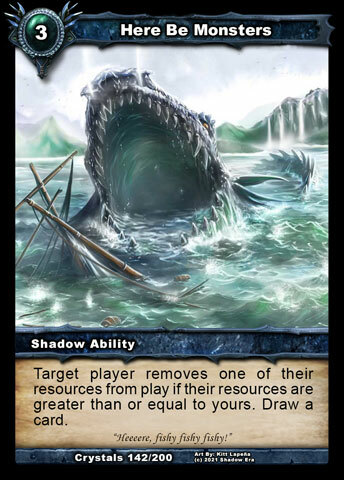 •Pride of the Mountain (4cc – 4/1) When an opposing ally is killed in combat while Pride of the Mountain is in play, you draw a card. •Night Prowler (5cc – 1/1) If your Hero deals damage to an opposing Hero, you take 1 card from their hand at random. Tagged baduruu, banebow, draw, hunter, Sf, Shadow, Shadow era, shattered fates, skervox.